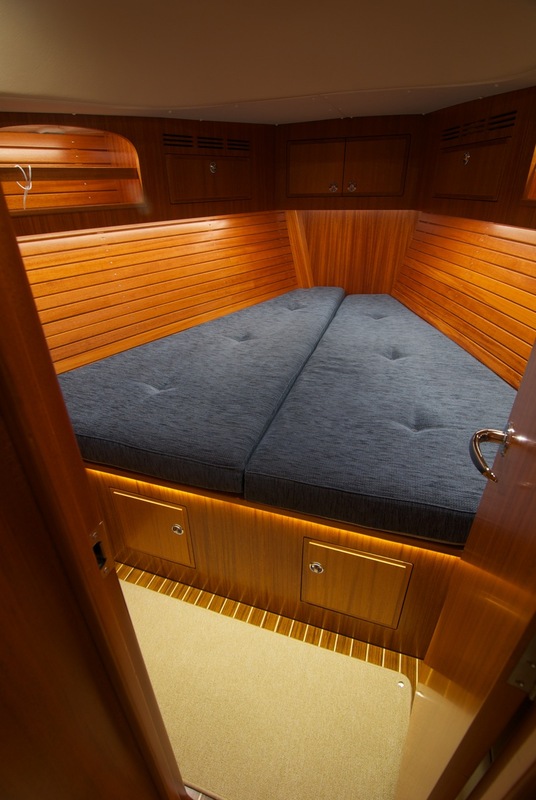 An owner of a brand new Hallberg-Rassy 342 took delivery of his boat, but was not satisfied with the interior lighting. He sailed with it as it was for one season and then took advantage of our new “flying LED refitting service” that we offer. 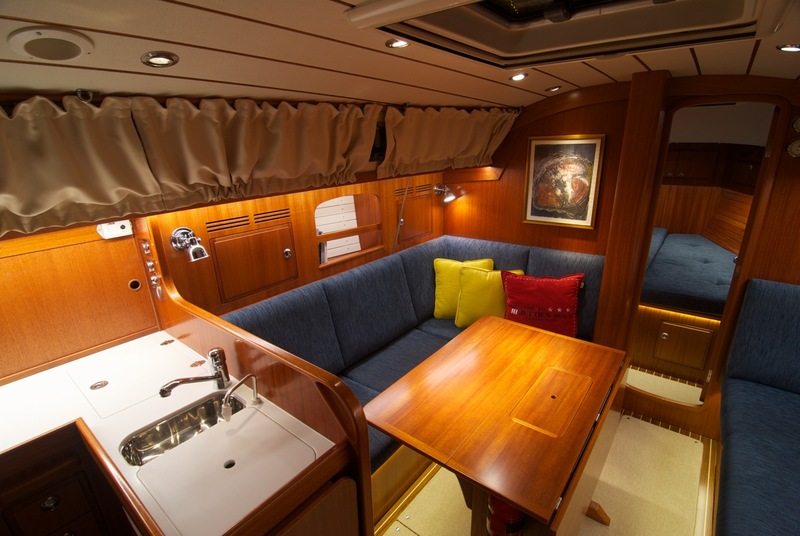 The Refit Team of Ellös has already installed new LED onboard several boats, who sail to Ellös, leave their boats here for one week and then pick it up again a week later with a totally new interior experience. 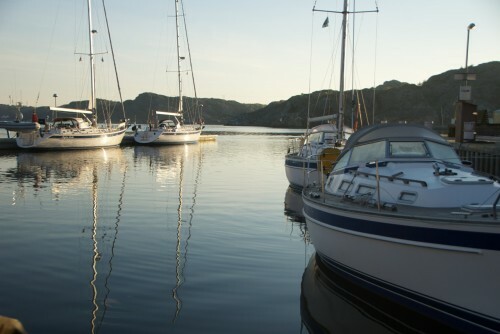 I happened to be in Ellös when one of the boats just got ready and the team was waiting for the next boat to come for an LED refit. 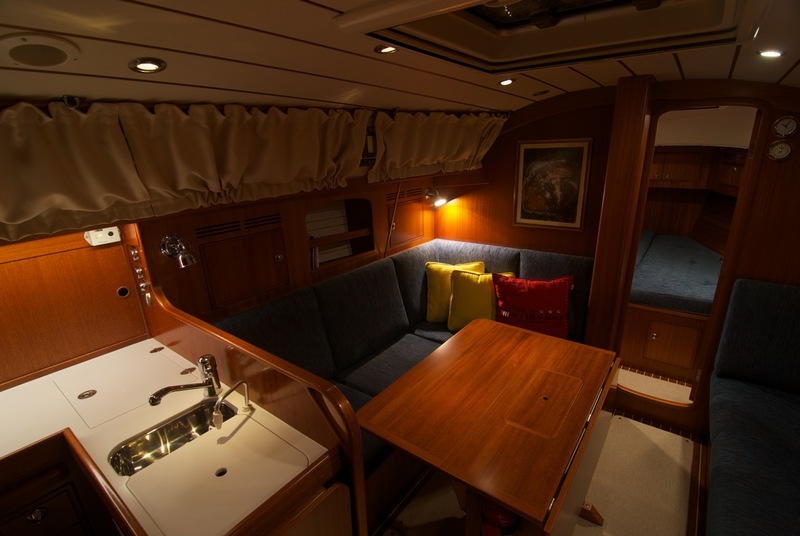 I went down into the converted HR342 and the difference was so impressive that I just want to share what I saw: I took some photos with only the old lights on and then, to compare, the same photo with the new Båtsystem LED lighting switched on. 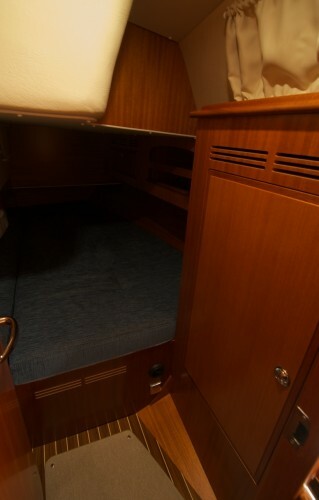 The below pictures speak from themselves, I think: The aft cabin suddenly became a real cabin and no longer the dark “cave” it was before. Power LED’s are placed above the galley area and nav-table to provide best possible working light, as well as over the salon table. The latter ones reflect the light from the beautiful mahogany table into the ceiling which changed colour from gray to warm-wooken colour. Also, it gives the perfect spotlight onto the table without shining into the eyes. One further Power LED is shining onto a nice painting on the bulkhead. 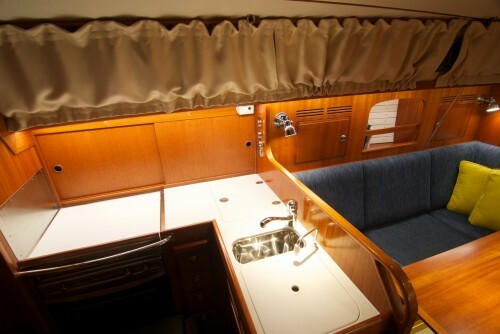 Mini-Sleeves are placed along the floor and across in the forepeak berth and 600- and 300- tapes light up the cuboards giving a feeling of width. The beautiful Hallberg-Rassy is suddenly showing its full beauty, which previously could only be seen in daylight. Speaking of it: Since LED consumes so little power, the indirect light shining onto the cupboards can now be left on all the time, improving the feeling of space even during daylight hours. 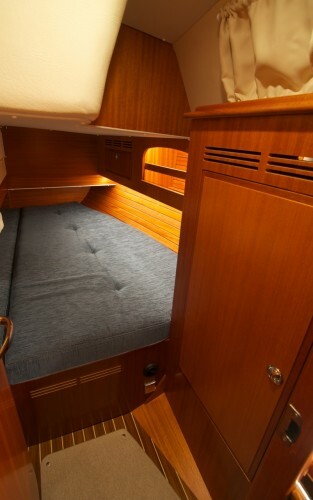 This example shows to me how important it is to have a well light interior boat. The more beautiful the interior is, especially the wood, the more beneficial it becomes. 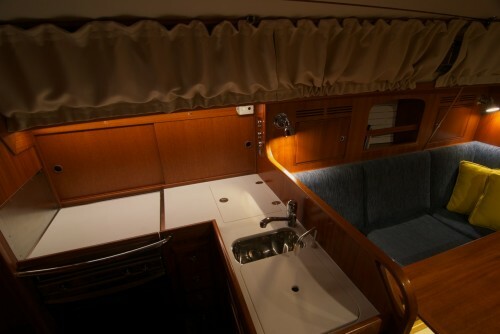 And even modern boats with loads of hatches and big windows benefit from a new Båtsystem lighting. No wonder the request for our new “flying LED conversion” has taken off so much. 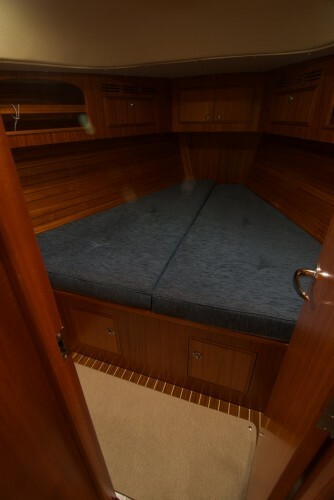 Please contact us for more information or to book a slot to improve your boat as well.